My family enjoyed this speckled egg chocolate cake yesterday. I made this cake to serve three purposes. First, its my dad’s birthday. Second, we happen to celebrate his birthday on Easter. And last, to commemorate the season premier of Game of Thrones! 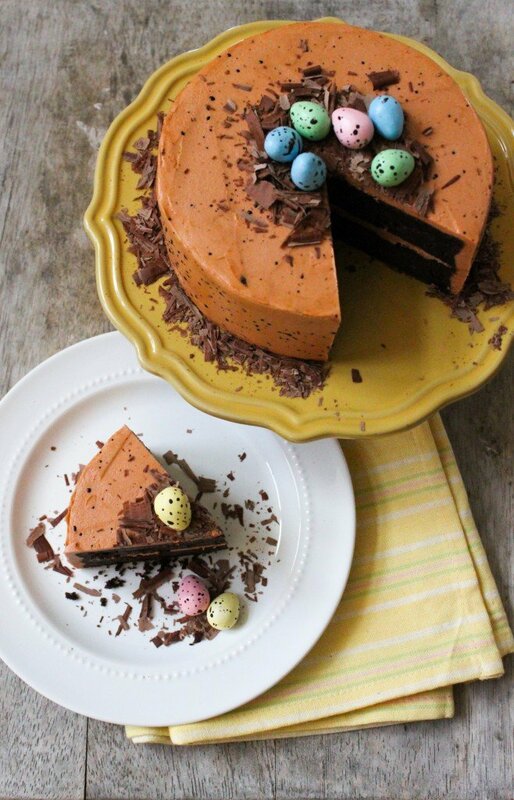 In that respect, you could also call this a dragon egg chocolate cake. This cake was inspired by the beautiful speckled egg cake on The Cake Blog. It looks amazing in Robin’s egg blue, but I didn’t want to try to duplicate the perfect original version. I colored mine a light brown, similar to the speckled brown eggs I usually buy at the market. I used a dense and fudge-like chocolate cake because no one in my family can say no to chocolate. Instead of my usual Italian or Swiss buttercream, I opted to use a simple buttercream that doesn’t require egg whites. Speckling the cake is very fun but also quite messy. Be prepared to have splatter all over the kitchen. 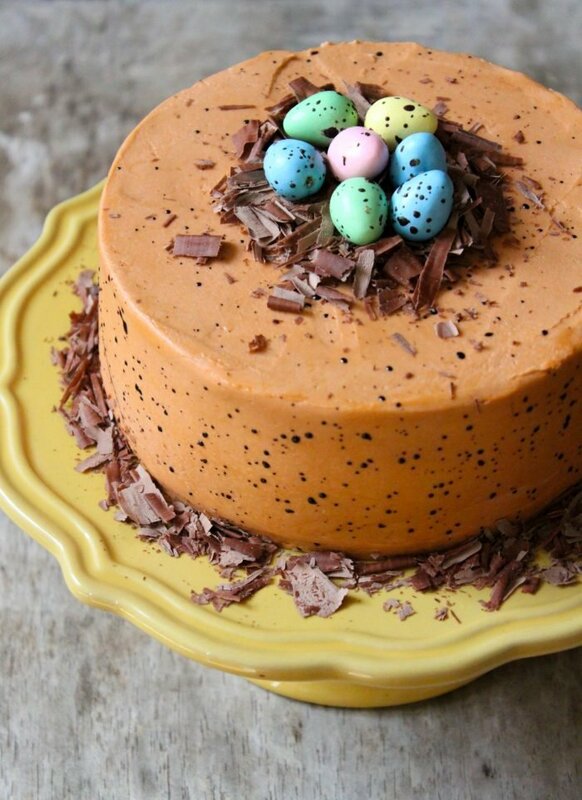 The Cake Blog has an excellent tutorial on how to decorate and recreate her speckled egg cake. I suggest checking the site out. 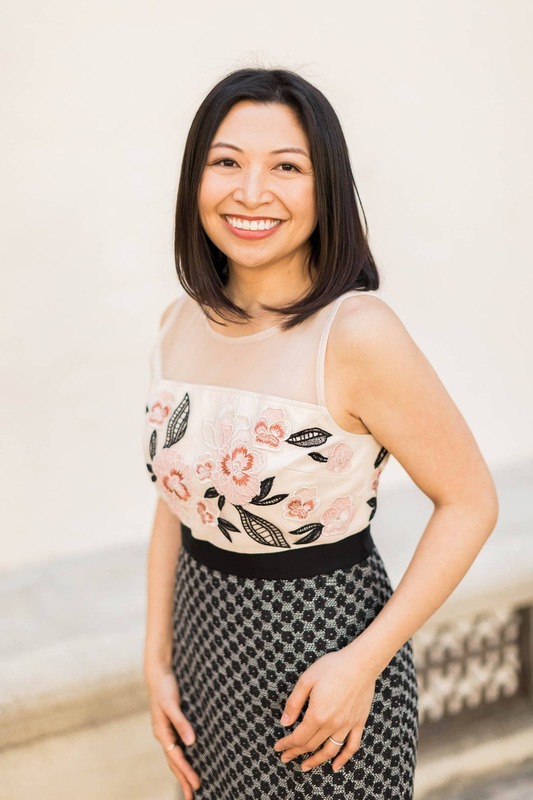 She posts pictures of the prettiest cakes that you will enjoy pinning and sharing on your Pinterest boards. As a kid, April Fools’ was pretty fun. Pranks and jokes were easy and simple. In the morning when you got to school, you’d ask your friend if they studied for the big test. Friend would freak out and you’d reply, April Fools! Or at home, my brother and I would change the clocks around the house to confuse my parents about the time (usually so we could push our bedtime as late as possible). Nowadays, you can just check your cellphone, computer, or cable box to see the correct time. The new pranks these days are far more elaborate and planned out. Were you duped by Google, Twitter, or YouTube? I’m really loving the Google Nose idea. I wonder how many people actually put their nose to their screen expecting to smell something? Twitter’s $5 a month to use vowels in your tweets had me laughing. I immediately thought of my mom, who hardly uses vowels in her text messages to me. I could comprehend her message fine. Maybe Twitter should charge for vowels à la Wheel of Fortune style. But my favorite prank this year is YouTube’s Pick a Winner video. If they had released that video any other time of the year, I might have believed them. Pre-heat oven to 350 degrees F. Butter two 6-inch cake rounds and line with parchment paper. Set aside. In a small bowl, combine chocolate and cocoa powder. Pour in boiling water and whisk until smooth. Set aside and let cool. In the bowl of a stand mixer fitted with a paddle attachment, cream together butter and brown sugar until fluffy and smooth. Add eggs one a time and mix until incorporated. Add sour cream and vanilla and continue to mix. In a medium bowl, whisk together all-purpose flour, cake flour, baking powder, and salt. Add 1/3 of flour mixture into bowl of stand mixer. Mix at low-speed until almost combined. Pour in half of chocolate mixture and mix until almost combined. Add another 1/3 of flour, following by remaining chocolate, and then end with the last 1/3 of flour. Mix between each addition and scrape down bowl as necessary. Transfer batter into prepared cake rounds. Divide batter equally, I suggest weighting the batter. Bake for 30 minutes, rotating pan after 15 minutes. Bake until cake is set and toothpick inserted in center of cake comes out clean. Let cool in pan for a couple of minutes. Run a knife or offset spatula around the perimeter of cake to loosen. Invert and let cool on wire rack. Level cake rounds. Build cake and frost with buttercream. 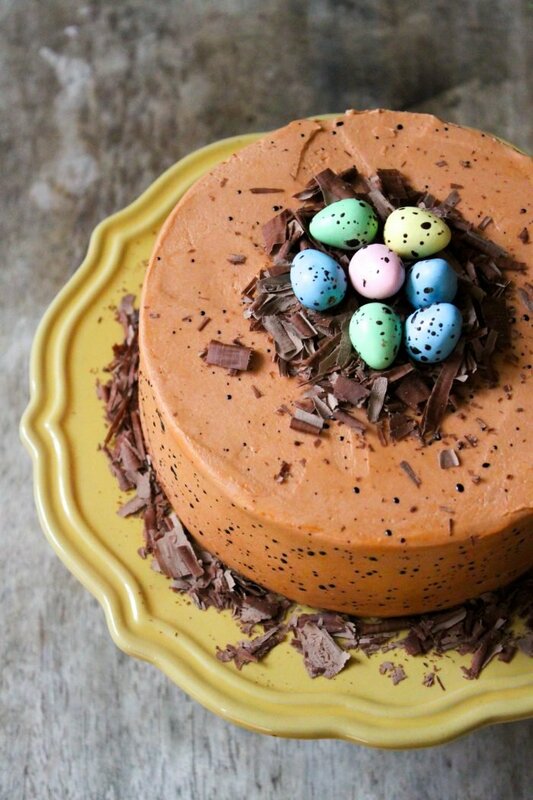 Decorate with chocolate shavings and mini chocolate eggs. In the bowl of a stand mixer fitted with a paddle attachment, beat together confectioners’ sugar, softened butter and salt until smooth. Add heavy cream and mix until incorporated. If you want a looser frosting, add more heavy cream 1/2 Tbsp at a time until desired consistency is achieved. Add gel food coloring as desired. What a lovely looking cake! So nicely frosted and I like the color very much. I love ur blog! I can’t wait to make some pastries after looking at all ur delicious cakes and baked goods! I love game of thrones too!!! Yes, I would recommend refrigerating any excess buttercream.